Suffering from a psychological and emotional condition? The the last thing you'll want is external pressures, stress and anxiety making those symptoms worse. 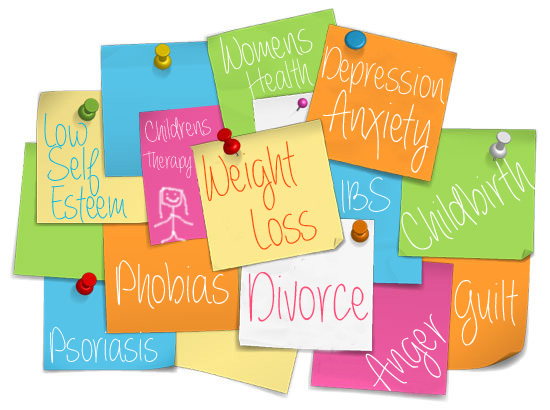 Clinical hypnotherapy and BWRT are both extremely effective in removing the root cause of a symptom, in helping you change your limiting beliefs and minimise the negative effects your thinking has on your body and life. Addressing the mental, emotional and physical factors to improve your emotional wellbeing and health. Empowering you to make a positive change in your life and enabling you to achieve a happier, healthier state of mind and body. Please note above list does not constitute a diagnosis of your condition or symptom. If you have concerns regarding your health or well being you should seek advice from your doctor or GP in the first instance if you are worried about a serious condition or health problem.